I need to apologize for my delinquency in posting a new blog. June has been such a busy month I have not had time till now to sit at the computer. 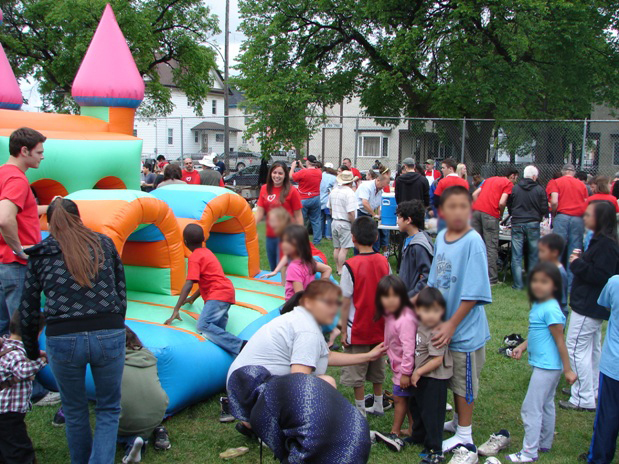 May and June is always our big Love Winnipeg Campaign where we mobilize the entire church to get out from behind the four walls of the church and into the streets to do random acts of kindness. This was our most successful year with 82 distinct events happening around the city. The big news this month on the personal front was the marriage of our eldest daughter. I made the mistake of watching Steve Martin’s Father of the Bride beforehand and sort of psyched myself out. George Bank’s (Martin) 22 year old daughter is getting married and he is not really prepared for the fact that his little girl has become a woman. It is funny and emotional and well enough done that any real life father of the bride (me) can easily empathize with him. Marrying off a daughter is not an easy task. For years you were her Knight in shining armor and now you have been replaced with a young buck with stars in his eyes and pimples on his face. Erma Bombeck used to say “One of life’s greatest mysteries is how the boy who wasn’t good enough to marry your daughter can be the father of the smartest grandchild in the world.” In actuality we really like the young man and that clearly makes it easier but it was still by no means easy. A pastor friend of mine has three daughters (he claims he doesn’t know how to make boys). All three are now grown and and are married. He performed all their weddings himself. I asked him what advice he could give me. 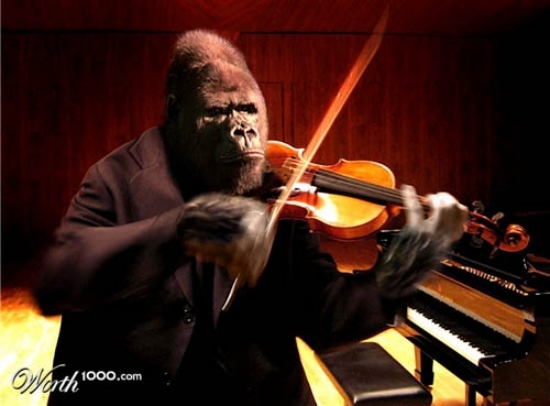 He said, “Here is the most important thing I can tell you, giving your daughter away in marriage is like giving your Stradivarius violin to a gorilla.” I am not sure he was really helping. It is a funny thing. You know from tthe moment your child enters this world that one day they will meet someone and go off and start their own family. You have years to get ready and yet somehow it feels like it happens overnight. You wonder what kind of guy will have the nerve to come by the house and risk trying to take out your daughter. 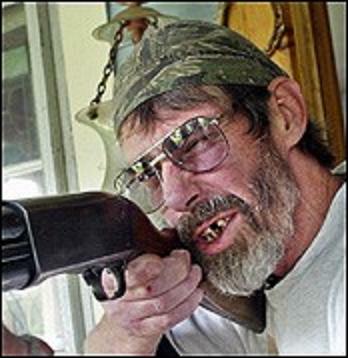 I imagined myself as sitting on the porch with a loaded shotgun warding off any potential suitors. I got it wrong… I don’t have a porch. When the big day finally arrived, I did double duty. My daughter asked me to both walk her down the aisle and perform the marriage. So when we got to the alter I turned around and said, “Who gives this woman to be married to this man?” There was no one standing there to respond… so we just called the whole thing off. It was my nefarious plan all along. Actually, my wife Kathy who was sitting in the front row, stood up and gave the go ahead. I have to admit that walking down that aisle was far more challenging than I had anticipated. My daughter’s arm was shaking with nervousness and what that does to a father is not hard to imagine. By the time I got to the front the emotion had got to me and I wondered if I was going to be able to get through the ceremony. Then it hit me and I knew exactly what to do, resort to my default of humour. I used the violin and the gorilla story right off the top, got everybody laughing (except for maybe the groom and his parents), and we were off to the races. I tell all parents to start praying for a mate for their children the day they are born. It is easily the biggest decision (short of accepting Christ) that any of us ever make. With a divorce rate of 50%, young people need to be very careful in choosing a spouse. As parents, we need to be more involved in that decision than our young people are likely to appreciate. Young love is not always very discerning. It’s like the old adage, “Love is blind, but marriage is sure an eye opener.” That’s why if you start early, bathe them in lots of prayer and keep the relationship discussions open with your children you improve your odds immensely that they will make the right choice. I always remind folks that there is just so much at stake in matrimony. Marriage is the closest thing to heaven on earth… or hell on earth, that we get this side of eternity.